Healthy, quick and easy, this warm chicken and potato salad is filling enough to enjoy on its own as a light lunch or dinner. 1 Combine all ingredients in mixing bowl except the cucumber. 2 Cut cucumber into thin log slices using Mandouline. 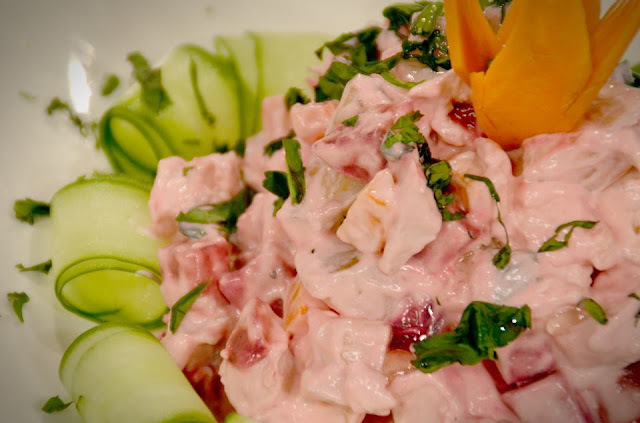 3 Bed salad bowl with sliced cucumber and fill with mixture of creamy potato chicken salad.